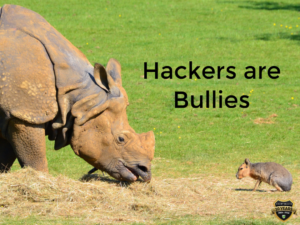 There has been a ton of emphasis on bullying lately. Many good-hearted people are attempting to remove it permanently from the schools. 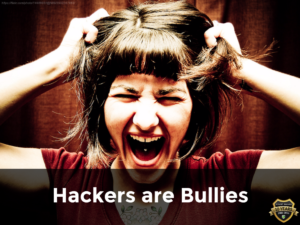 With so much focus, it’s a wonder we haven’t discussed the role that hackers play as bullies. We often hear about the abuses they’ve performed on big, strong companies like Yahoo, Google, Best Buy, Target, and others. 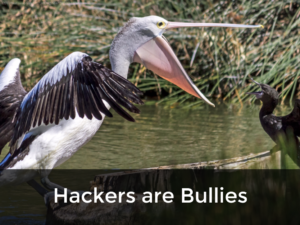 But we seldom hear about the more than 20 online attacks per minute on WordPress sites. These are usually the little guys. The start-ups. 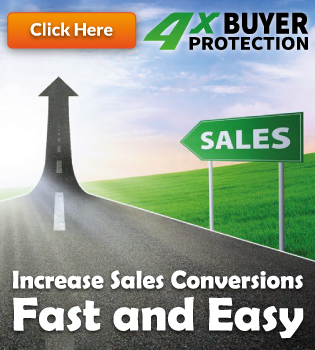 People without a lot of money or know-how to get an IT guy to build their site from scratch. Imagine their frustration when they find out that Google has found malware on their site, or that their customers who thought that they were signing up for your newsletter have had their personal information stolen instead. Those 20 companies that get hacked every minute, 1,200 per hour, and almost 30,000 per day aren’t all the IP addresses illegally accessed. There are a lot more than that. But these guys usually don’t have a backup plan. In fact, they usually don’t have a back-up of any of their content, links, images or videos. 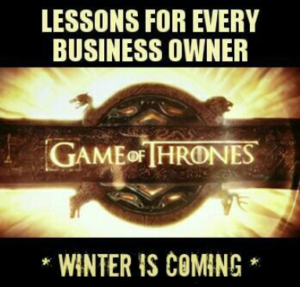 So when they get hacked, many of these hard-working entrepreneurs give up. They go back to what they were doing before they started investing so much time and effort trying to make a living online. 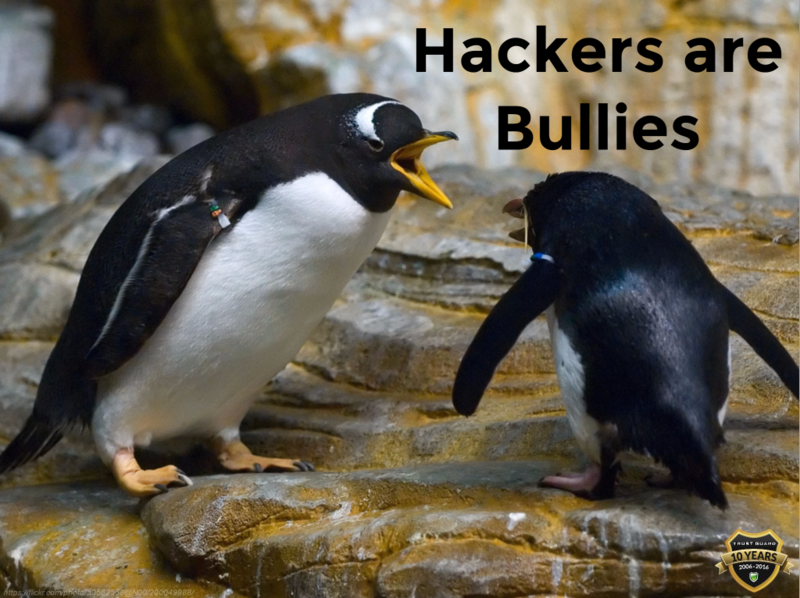 Little kids who get picked on have teachers, parents, and other kids who can help stop the bullies from doing any more damage. 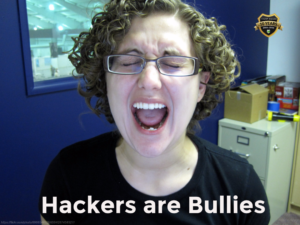 But who helps the online business owners who are bullied by hackers? Trust Guard! 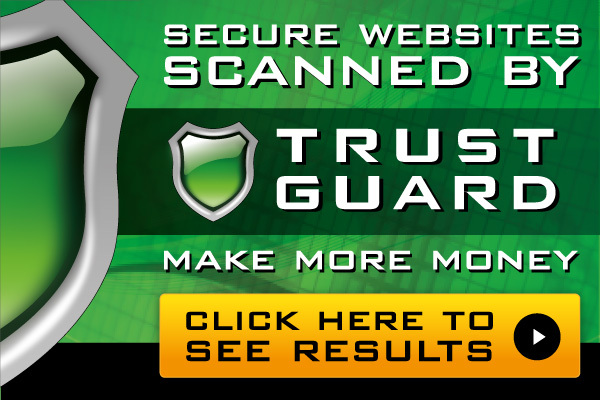 Trust Guard puts a shield of protection between the David-like business owner and the Goliath-like hacker. They do this by scanning a website for security holes before a hacker does! 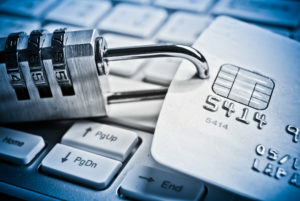 These vulnerabilities are found bu Trust Guard and fixed by the business owner. 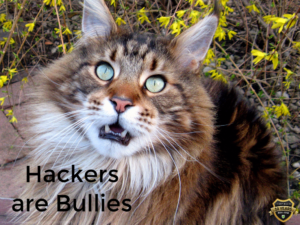 Hackers then have a much harder time trying to access the little guy’s website. In fact, when they see the shield, most hackers move on to a site that doesn’t have the green shield of protection. 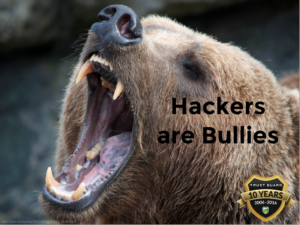 If you’re one of the little guys, running around online without any protection from online bullies, we suggest you hire Trust Guard to scan your site for security holes before you find yourself alone, beat-up, and penniless in a dark and dirty internet alley. When shoppers feel confident, they are more likely to buy from you. 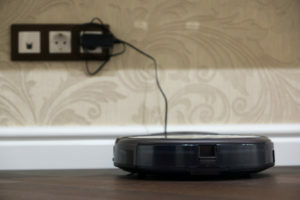 Do Your Home Appliances Collect Personal Data?